As the Class of 2013 walks across the stage at the Patriot Center on May 18, the information technology department will be busy rolling out new changes to Mason’s online learning management system, Blackboard. “We are going to release it right after the spring semester, so actually during graduation. Summer classes start that Monday and we would like to have it available then,” said Joseph Balducci, manager of online learning resources. These changes will dramatically affect the look of Blackboard, while adding and refining the services it provides. 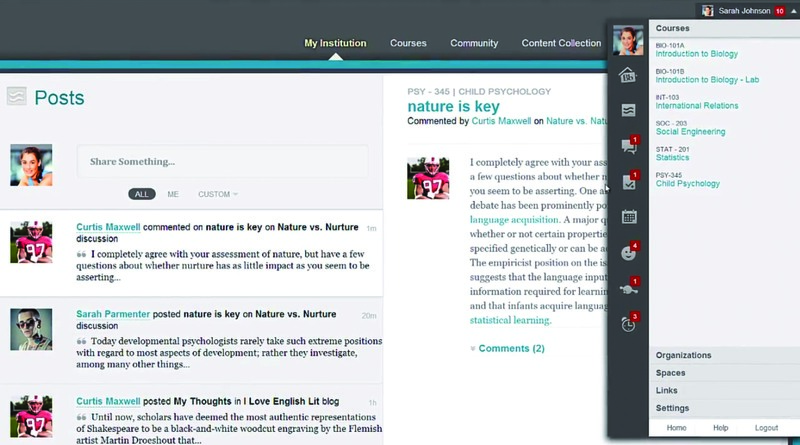 The new Blackboard, which can be viewed in a video available on Mason’s courses support website, moves away from the blocky layout full of unused modules and toward a more streamlined website that encourages interconnectedness and sharing between students and teachers. Balducci estimated that 50 percent of classrooms currently use Blackboard. “Obviously, there are distance learning classes that are only online, so they use it more. Then, your traditional classes, many of them, use Blackboard as well, just not as much,” Balducci said. Blackboard’s new format is intended to increase classroom involvement through a few key improvements. 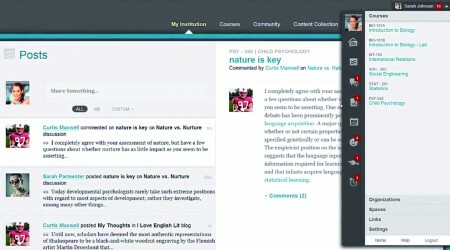 The changes are all done in a way to create a version of Blackboard that draws the user in. “It’s always about knowing, ‘Do I need to go to Blackboard?’” Balducci said. To achieve this goal, the new Blackboard will integrate a notification system that will update students about all of their classes rather than separately. “One of the new features is the ability to group everything that is happening, all your courses, into one place. So you go there and you get an update that says, ‘Here are the new discussion board posts that you need to reply to’, no matter what course you’re in,” Balducci said. Students also have a voice in how they will interact with the new system. “I don’t think many students know that you have a lot of customization as far as notification settings go,” Balducci said. Using the mobile app, students can set up notifications just like they would for Twitter or Facebook for whenever a professor adds a new document, grade or assignment. There are also email notifications for those without a smartphone. There will also be a new calendar system available on the new Blackboard. “You can see all your calendars from all your courses in one place, and even pull that calendar into some other calendaring app that you actually use like Masonlive or Google,” Balducci said. Balducci hopes that these improvements will encourage students and teachers to use Blackboard more both inside and outside the classroom, but there is no way to be sure that the Mason community will utilize it. “We put the product out there, we offer lots of training sessions for faculty, we write up documentation and we come up with best practice scenarios,” Balducci said. Despite the increase of smaller online learning platforms like Lore, Mason will continue with Blackboard. “There are many reasons why we stick with the major players like Blackboard. We do it primarily because the integration with Patriotweb is really important, which is harder to do with the smaller players or open source programs,” Balducci said.